Have you been in a situation where you have entered the kitchen as a novice, but over time have learnt to cook dishes, without burning them & loving the entire process? Does it make you wonder maybe if you had the right equipment, things would have been so much easier? We’ve been there, done that! Being a first time cook can be stressful when you are equipping your kitchen. Whatever may your age or cooking expertise, you can master the art of cooking with the help of right kitchen tools. Don’t feel intimidated or overwhelmed. Just remember that the more you practice, the better chef you will become. To help you sharpen your cooking skills, we have put together a list of 7 gadgets which you should have in your kitchen. From dicing veggies to chopping meat, every kitchen needs a pair of knives. The chef’s knife and paring knife are the most commonly used knives in all households. 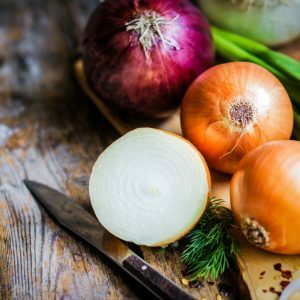 Do onions make you cry? Use a sharp knife to chop it. 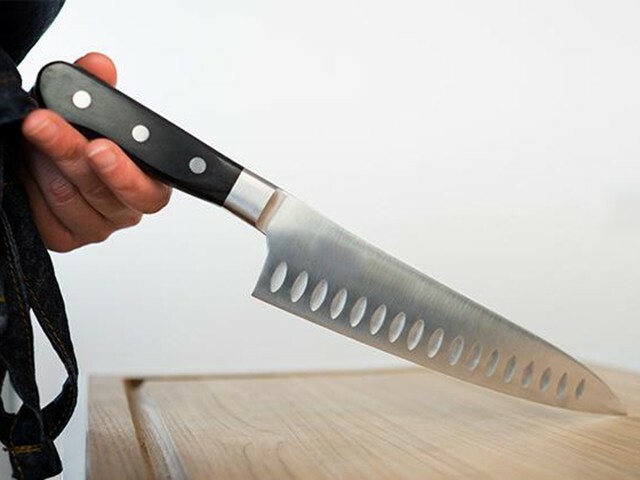 The chef’s knife (also known as the cook’s knife) is an all-purpose knife that helps you to make more precise cuts in the meat or vegetables with its broad and sharp blade. 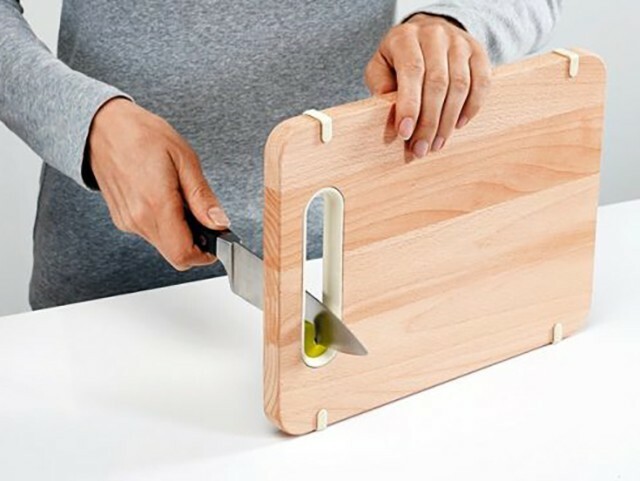 It is ideal for cutting meat, mincing herbs, chopping vegetables and nuts. 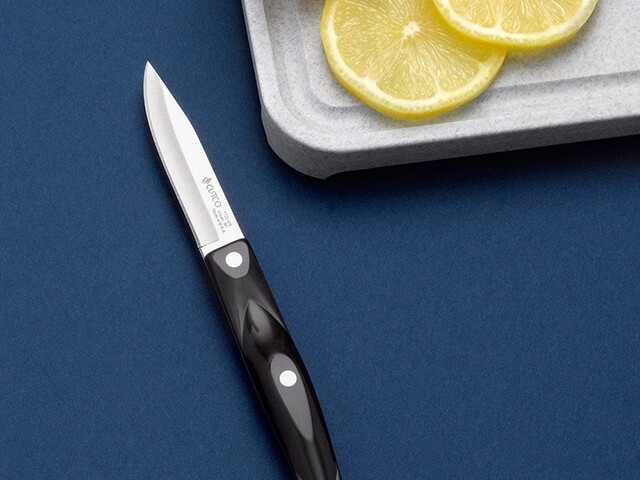 A paring knife is a small knife that is perfect for peeling skins from veggies, de-seeding fruits, de-veining prawns, removing seeds from green chilies or chopping herbs. It is also an all-purpose knife like a chef’s knife, except smaller. The handles of kitchen knives are basically made from three materials – wood, plastic and stainless steel. Wood handles gives good grip, but has to be cleaned more thoroughly. 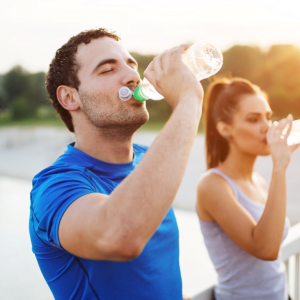 Can crack when exposed to water for a long time. Plastic handles are easy to clean and do not absorb microbes, but they can be slippery in the hand while chopping the veggies. Stainless steel handles have good durability (ability to withstand wear and tear). It can be slippery sometimes as the metal weight is more in the handles. What’s a good knife, without a sharpener. Knives need sharpening almost every other day, depending on the heavy duty action it is called for. 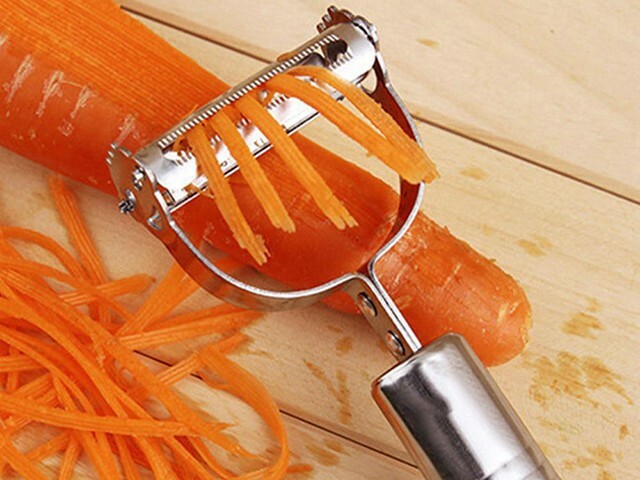 A vegetable peeler is used to peel the skin of veggies and fruits like carrots, potatoes, pears, and apples. Though there are numerous designs of peelers, the most commonly used are either Y-type or straight. To most folks, a peeler has been just a peeler. You go to a shop and buy the first peeler that you see, not giving it a second thought. But, NO! 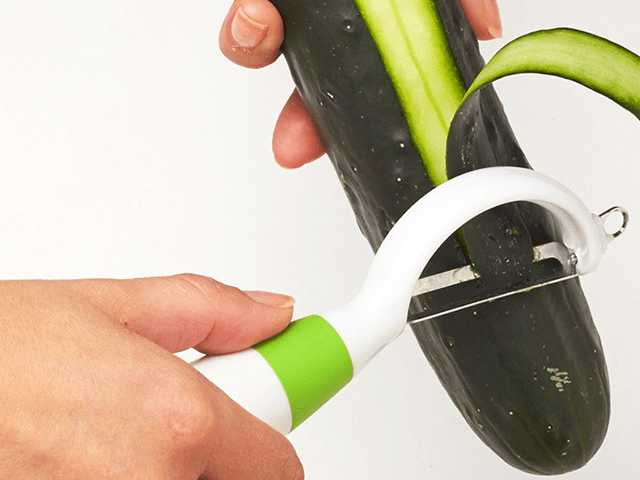 The performance differs from peeler to peeler. A straight peeler resembles a knife with a straight blade (either fixed or moving). It is much easier to use than a Y-peeler when you are peeling the skin of an apple. But, Y-peelers are perfect for peeling potatoes as they resemble a safety razor with a perpendicular blade. But, comparatively, Y-peelers have better grip than the straight ones. 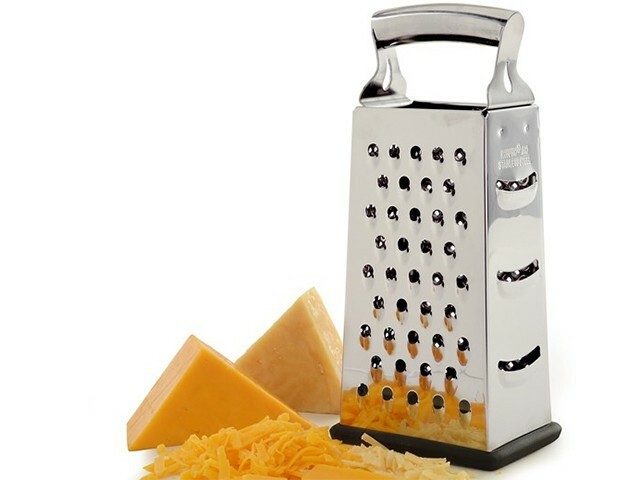 Also known as a shredder, grater is perfect to grate ingredients into thin pieces. They are commonly used to grate cheese, lemon peel, coconut meat or veggies. Use the grater to make some lip smacking desserts like, Carrot Halwa. Microplane is used to grate cheese and nutmeg for cakes or toasts. Multiple Graters is used to grate veggies in different sizes for salads or garnishing purposes. The kitchen chopping board is widely used in prepping food and are made of plastic or wood and come in various sizes. A good cutting board should be light (not fragile), soft, and easy to clean. Hard cutting boards are perfect for making sandwiches or cutting cheese. Wood cutting boards have some advantages over the plastic ones. If you want to prolong the durability of your knives, then they are the best option. But, they have high maintenance and has to be cleaned with mineral oil every few weeks to remove contamination. Moreover, it has natural anti-septic properties. Unlike wood boards, plastic chopping boards have no antiseptic properties, but they are easy to clean. The sharper the knife, the longer the plastic board will last. Always use separate boards for veggies and meats to avoid cross contamination. The bacteria present in the meat will easily get transferred to vegetables or dairy products if you use a single board for all chopping process. 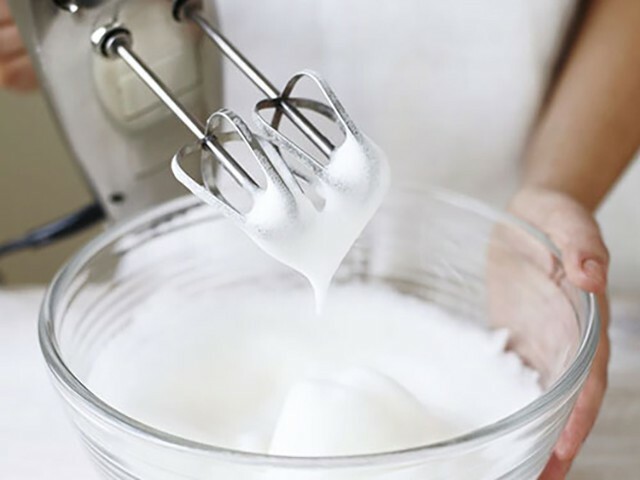 Whisk is used to blend ingredients smooth and the process is called as whipping or whisking. You can make whipped cream for cake frosting, make meringue, beat eggs for omelette or mix vinaigrette. Usually, whisks have long narrow handles with entwined wire loops at the end. The wires are made up of either metal or plastic. Whisks are available in different shapes based on their intended functions. But, the most commonly used ones are the balloon whisks. It is best suited to mix ingredients in a bowl. 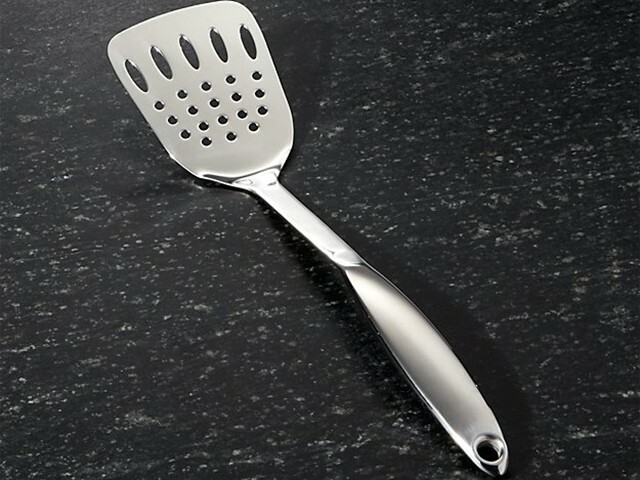 A spatula is used to mix and lift ingredients while cooking. They are also used to scrape content from a pan, level off the top of a rice bowl, flip over dosas or pancakes. 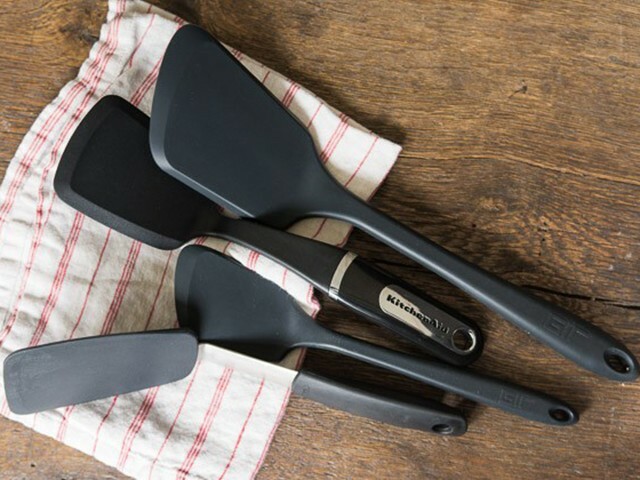 The blades of a spatula are made up of wood, plastic or metal. If you are cooking in a nonstick pan, wood or plastic spatula is the best as it does not scratch the pan coating. Metal spatula are best to flip dosas or appams whereas wooden spatulas are used to make rotis. 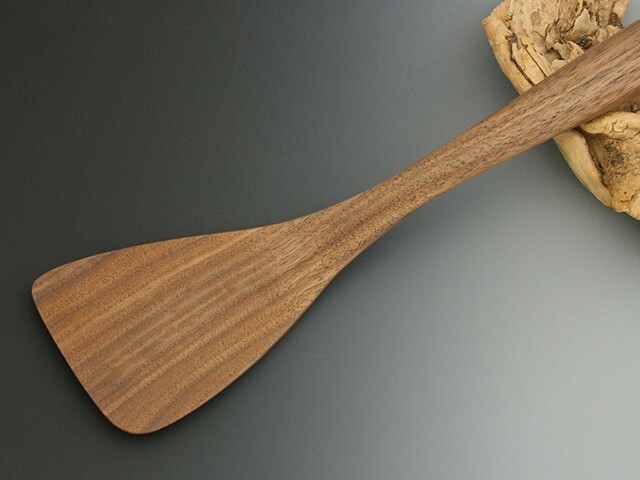 Wood spatulas don’t absorb heat while cooking. 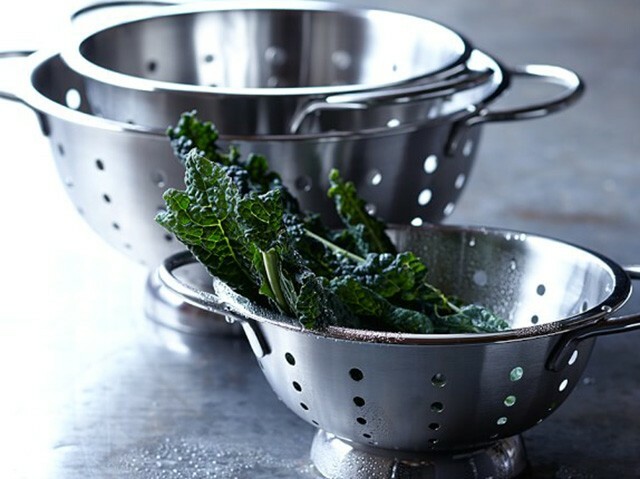 A colander or strainer is a bowl-shaped kitchen gadget with holes in it and are used for draining food like rice, pasta or noodles. A strainer can also be used to wash vegetables. The holes in the colander allow the water to drain while keeping the solids inside. Colanders are made of stainless steel, plastic or silicone. What tool do you totally need in your kitchen? What’s the one item you wish you had but didn’t? Do you agree with this list? If you want to add more kitchen gadgets to the list, feel free to share with us. 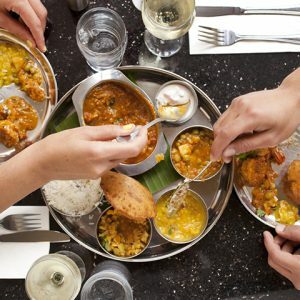 In the meanwhile, you can sharpen your cooking skills by trying some of the best recipes from our website. 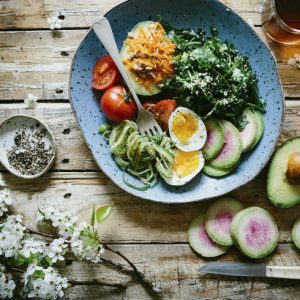 Feel free to comment or share your thoughts on this "7 Must Have Tools For Your Kitchen" article from Awesome Cuisine.